This is the last home shirt under Adidas era from the 1980s till 1990s. 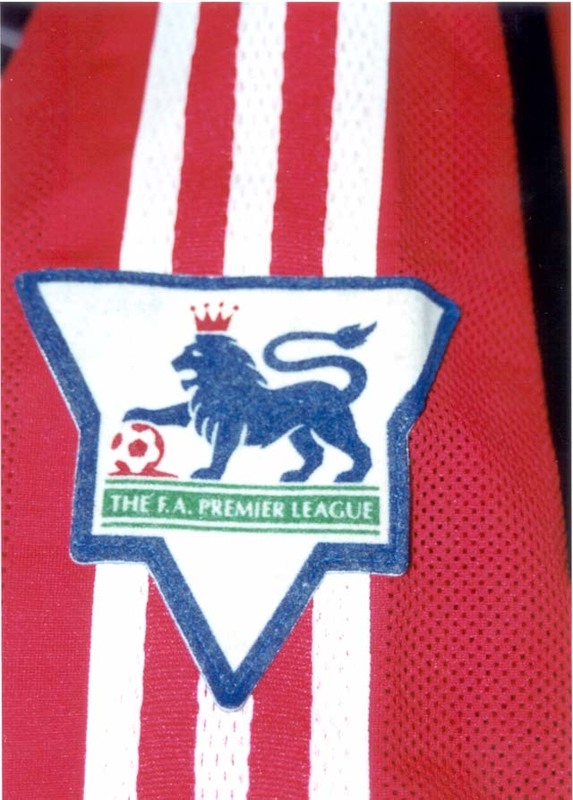 This shirt was used in season 1995-1996 only with a distinctive design of big and thick V-neck collar. The shirt also has vertical air-tex thick strips pattern. Typical home player shirt of this style has a bigger Carslberg sponsor. 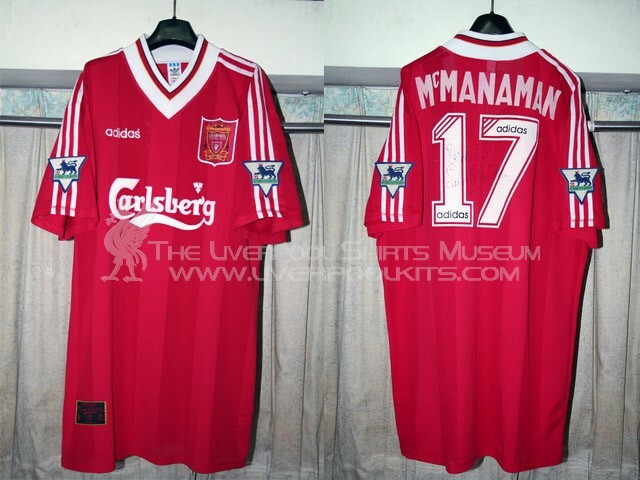 1995-1996 Liverpool Home Player Shirt - This number 17 shirt belongs to Steve McManaman and comes with his autograph on the numbers. 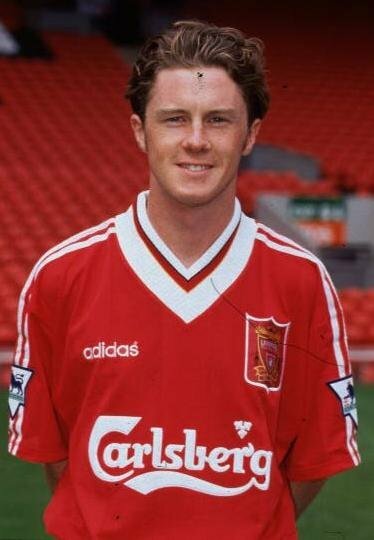 Featured Steve McManaman wearing the 1995-1996 home player shirt with big Carlsberg sponsor. So what is meant by big Carlsberg and what is meant by small Carlsberg? 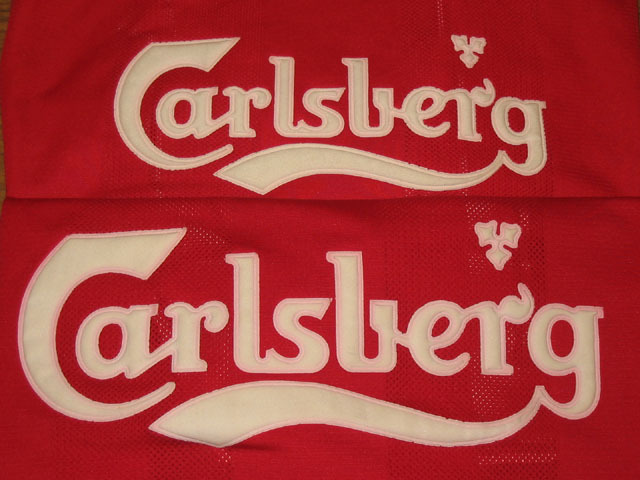 A big Carlsberg version home player shirt has a larger size Carlsberg sponsor logo when placed inline with the replica shirt. 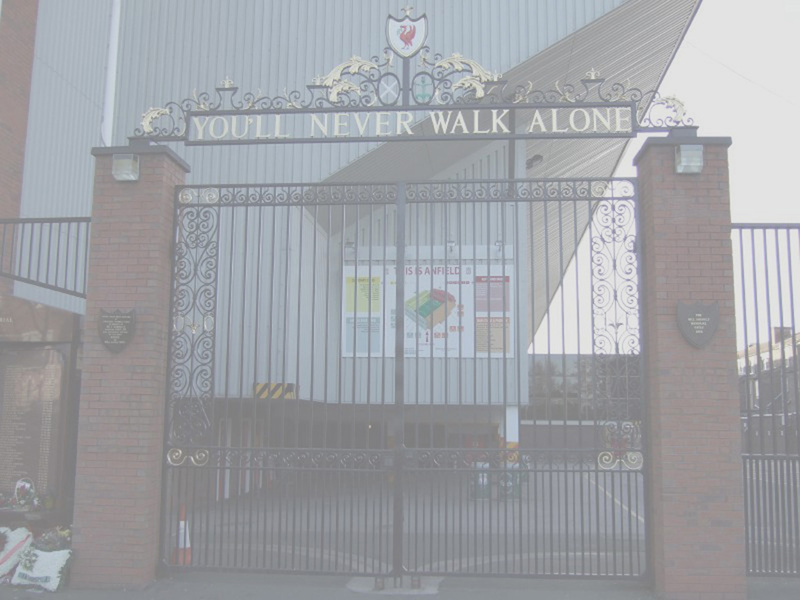 As seen above, the upper shirt is a standard official replica shirt and the bottom sihrt is the big Carlsberg version home player shirt. The genuine player shirt comes with the thick-blue-rim velveteen Lextra Premier League patches applied on the sleeves.